Mr. Wert is a member of the Litigation department in the Orlando office. 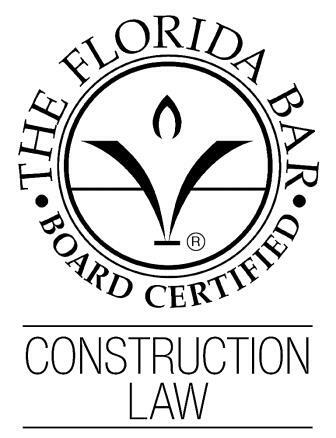 He is Board Certified in Construction Law by The Florida Bar Board of Legal Specialization and has practiced in the area of business litigation, with an emphasis in construction law, commercial litigation, real estate litigation, and creditors’ rights since 1993. 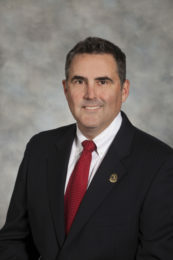 He is also a Circuit Civil Court Mediator certified by the Florida Supreme Court, who has mediated numerous business disputes. Mr. Wert was recently elected to the 52-member Board of Governors of the Florida Bar, which has exclusive authority to formulate and adopt matters of policy concerning the activities of the Bar. He was also recently selected as one of only 69 construction attorneys in the State of Florida to be a Fellow in the Construction Lawyers Society of America. Mr. Wert has represented numerous large and middle-market companies, local governments, banks and other financial institutions, general contractors, subcontractors, suppliers, design professionals, developers, small businesses and individuals in cases involving construction defects, delay claims, lien law, design liability, dispute resolution, licensing issues, procurement, condominium and home owner associations, credit agreements, contract disputes, business torts, government bid protests, intellectual property rights and bankruptcy. He has also counseled clients in the drafting of customized construction contracts, as well as contracts derived from standard AIA, ConsensusDOCS, and EJCDC contracts. Represented the owner of a 32-story, apartment tower in Downtown Orlando in a $6 million dispute with a large general contractor concerning the close-out of a $160 million construction project. Drafted and negotiated a complex construction contract for a $30 million 143,000 square ft. hospital neurological center in South Florida. Obtained a permanent injunction on behalf of the contractor against a former employee for an ongoing breach of non-compete/ non-solicitation agreement. Represented the owner of two, luxury hotels in Orange County, Florida against a large general contractor and subcontractors in federal court concerning a $3 million claim for defective construction and repair of the fire safety system in over 1,500 hotel rooms. Represented an Orange County municipality concerning breach by a general contractor of a contract for construction of a road. Represented an Orange County municipality in a dispute concerning defective construction and delay claims resulting from the construction of a lift station, water main, force main and gravity sewer line. Negotiated a joint venture agreement between the general contractor and electrical contractor concerning construction of a major theme park attraction in Orlando, Florida. Represented the contractor in litigation concerning non-payment for construction work from a large timeshare condominium development in Orange County, Florida. Drafted construction contracts for numerous contractors, subcontractors and developers. Represented a large financial institution in a dispute with a general contractor involving lender liability claims for ceasing disbursement of construction loan funds. Represented a developer of a luxury, high-rise, waterfront condominium concerning defective design and construction of fountains, driveways and common areas. Represented the manufacturer of roofing products against a Downtown Orlando high-rise, condominium association concerning multi-million dollar defective construction and warranty claims. Represented a national law firm in an alleged legal malpractice claim concerning a contractor’s filing of a fraudulent construction lien. Represented a real estate investor in litigation involving alleged fraud in the inducement for failure to disclose latent defects in the sale of a large apartment complex. Resolved a dispute between owners of a joint venture established to develop a 310 acre parcel of real estate. Resolved a contract dispute between an engineering firm and developer concerning site work for a retail/commercial center. Represented a general contractor concerning a dispute with a subcontractor involving alleged defective work on large retail center. Resolved a $3 million claim on behalf of a national bank against a title insurance company involving a fraudulent scheme in the transfer of commercial real property. Represented a company in a dispute with its joint venture partner regarding the investment of $10 million in a deep water salvage operation. Represented a software developer in federal court concerning fraud, bad faith, breach of fiduciary duty, theft of trade secrets and breach of contract claims arising from a joint venture for the development of wellness software. Represented the School Board of Seminole County, Florida concerning a breach of software contract by a large, multi-national computer technology company. 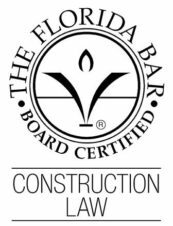 Represented a large hurricane debris removal contractor concerning $4 million in damages for breach of contract by a local municipality in the aftermath of Hurricane Charley. Represented a land owner in the defense of toxic tort claims concerning alleged groundwater contamination. Represented a condominium developer concerning an alleged breach of contract by numerous condominium purchasers. Represented a world-renowned, rock n’ roll band against a serial trademark infringer in federal court concerning claims for injunctive relief and damages. Represented a Grammy-nominated, popular music group concerning a dispute with management involving a multi-million dollar breach of contract, business tort and shareholder derivative claims. Represented numerous commercial landlords in several eviction actions against tenants based upon the tenants’ failure to comply with various terms of their leases.